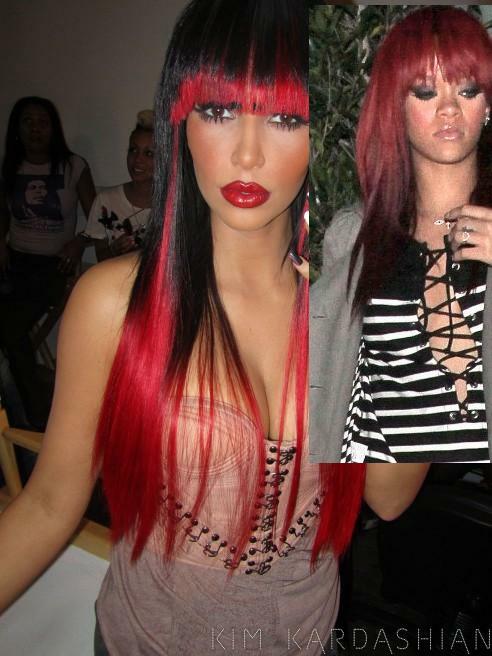 OR IS KIM LOOKING NICER??? actually Kim Kardashan, does look better than Rihanna, almost like Cleopatra, they look to be the same complexion. If kim Kardashan had a good record label behind her an a good manager that believed in her and bought her some hit songs, she would give Rihanna a run for her money. Rhianna all day!! Kim looks like a hood rat bafoon!! !